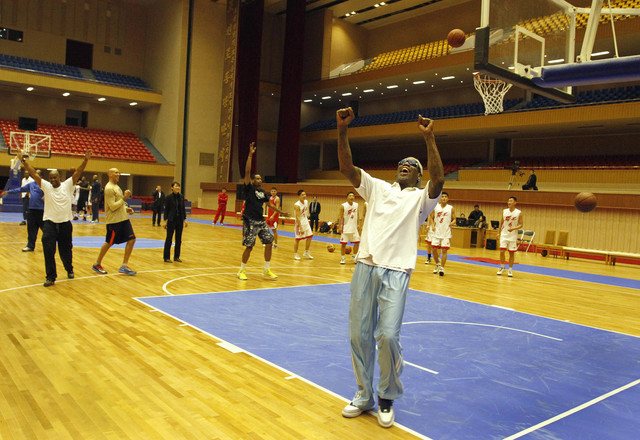 The group of NBA players scheduled to play with Dennis Rodman against a team of North Koreans on Wednesday privately expressed second thoughts about going ahead because of an outpouring of criticism back home in the U.S.
Former NBA star Dennis Rodman and other American players trained with young North Koreans in advance of Wednesday's exhibition match to mark the birthday of North Korea's leader. 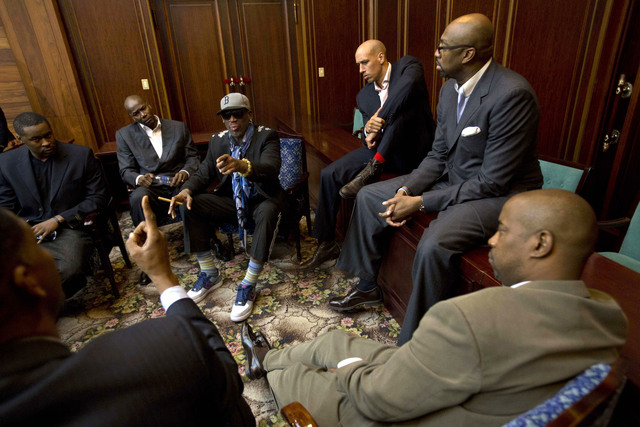 Rodman appealed for understanding about his goodwill project. 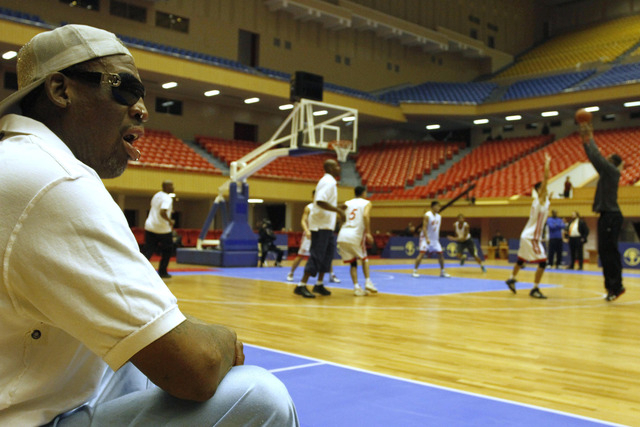 Smith and other former NBA players are scheduled to play with Rodman against a team of North Koreans on Wednesday that organizers say leader Kim Jong Un is expected to attend. Many of the players on Tuesday privately expressed second thoughts about going ahead because of an outpouring of criticism back home in the United States. 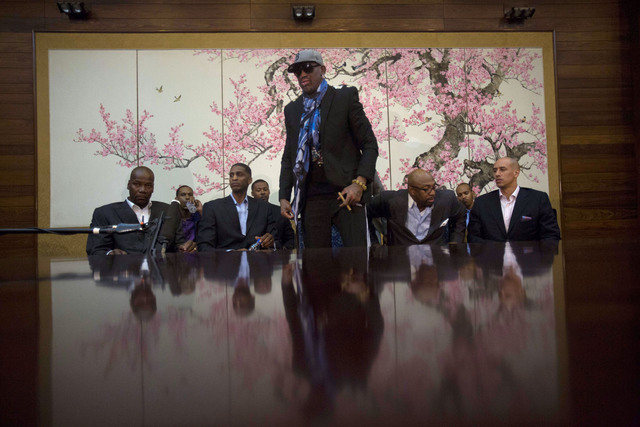 Rodman arrived in Pyongyang on Monday with seven former NBA players and four streetballers for the game on Kim’s birthday, believed to be his 31st. 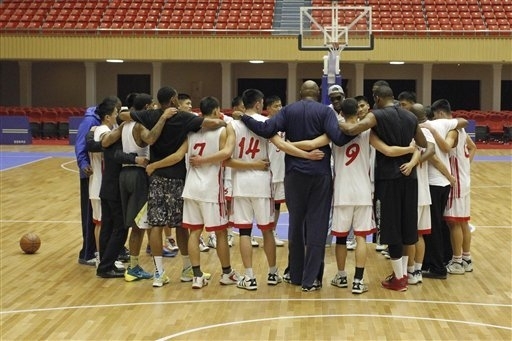 Along with Smith, the squad features ex-All Stars Kenny Anderson, Cliff Robinson and Vin Baker. 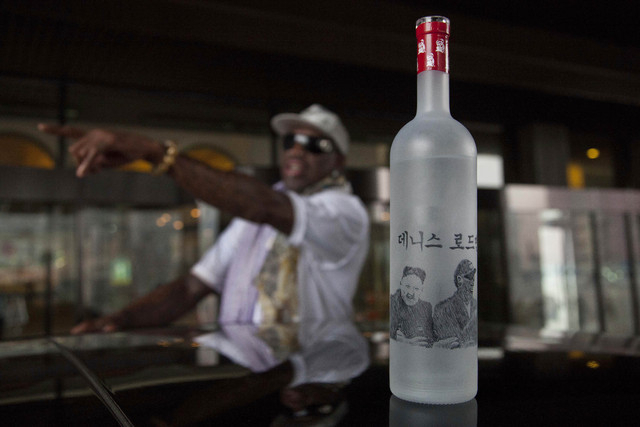 The White House said Tuesday it would not have approved Rodman’s latest trip to North Korea if it had any say in the matter. Spokesman Jay Carney said the visit was considered private travel and not subject to government review. In Washington, State Department spokeswoman Jen Psaki said the U.S. remains gravely concerned about Bae’s health and is ready to send U.S. envoy on North Korean human rights issues, Robert King, to seek his release if Pyongyang reinstates an invitation that was withdrawn in August. 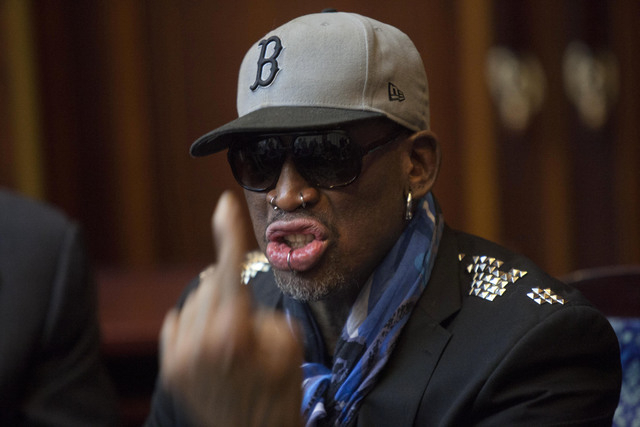 Psaki declined to say whether Rodman’s visit was complicating those diplomatic efforts. “I feel bad for Dennis, I feel bad for the players,” Smith said afterward, adding that when he played for the United States in the 1988 Olympics he felt elation. “I felt huge, I felt on top of the world. But I feel the reverse now,” he said. “I feel a lot of remorse for the guys because we are doing something positive, but it’s a lot bigger than us. We are not naive, we understand why things are being portrayed the way they are. We can’t do anything about that, if we could we would. Was a high school coach in South Florida not long ago, before a DUI cost him that job. It wasn’t like his team was any good — one game was a 78-7 loss — but Anderson talked about how thankful he was to still be in the game and how it could lead to bigger opportunities. 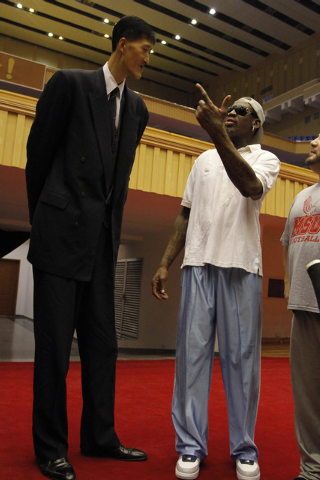 It’s believed he made about $65 million in NBA salary, but even that couldn’t keep him from bankruptcy and other financial issues. 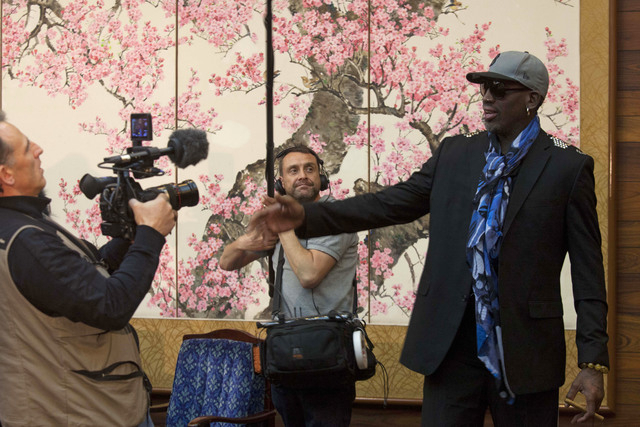 He lost his mansion and his restaurant, along with much of the $100 million he made as an NBA star, but says he’s comfortable these days and is devoting much of his life to ministry. Baker has struggled with alcoholism and depression in the past, was charged with drunken driving in 2007, and the off-court issues make it easy to forget that he helped the U.S. win Olympic gold in 2000. He counsels troubled people, works in ministry, has successful business dealings and started a financial management company after retiring. Memo to the Rod-men: He’s your captain. He and his wife throw themselves weddings — not anniversary parties, but weddings — every year. Christie spent parts of 15 seasons in the NBA and still probably doesn’t have the fan base that his wife Jackie has from her work on, among other things, “Basketball Wives.” And then came this nugget not long ago, that the couple was producing (though not starring in) adult films. He made roughly $61 million in NBA salary and apparently that wasn’t enough, as he went through bankruptcy in recent years. He had some minor run-ins with the NBA’s drug policy as a player as well, but his 15-year career was one that left him extremely popular among many other players. Smith is a former executive director of the National Basketball Retired Players Association, getting ousted in 2010. 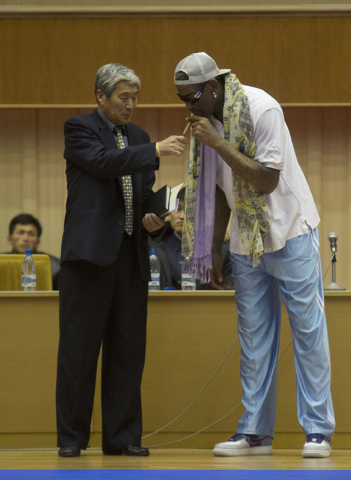 Like Floyd, he’s had a busy business life after basketball, says he wouldn’t mind meeting the North Korean leader who Rodman calls “the marshal” on this trip and can’t wait to sit down with that nation’s players to answer life about the U.S. “A little courage, a little faith is involved here,” Smith says.